What Is Aerobic Exercise And Why Is So Important? When you hear the term ‘aerobic exercise’, your mind might immediately go to thoughts of an aerobics class. And while this is one form of aerobics, it’s not the only type of aerobic activity. Aerobic exercise is any form of activity that gets the body moving utilising oxygen in the process. As exercise intensity increases, it becomes harder and harder for the body to keep up with the oxygen demands. As the intensity reaches a point where it simply can’t keep up, this is when you cross over into anaerobic training, which means without oxygen. So by nature, aerobic exercise is going to be any exercise that is done at a low to moderate intensity. Raking leaves in your yard or going for a walk is all considered aerobic exercise. Furthermore, many exercise variations that are classified as anaerobic exercise will also be using aerobic exercise as well. For instance, if you are doing interval training, this is known as anaerobic exercise (as it is very intense and is done for the most part, without oxygen), however during the active rest periods, you will instead be doing aerobic exercise. You will often bounce back and forth between the two. You’ll find this happening during many sporting activities when athletes have to ramp up the pace to chase after a ball or other player, but then take down the intensity level afterward. 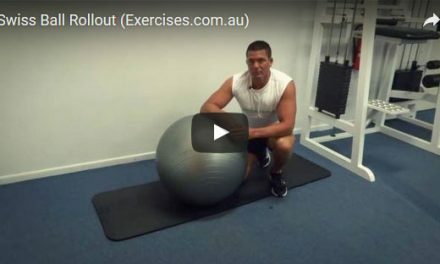 While you won’t get the metabolic boost after aerobic exercise like you would anaerobic exercise, this does not mean you are not burning calories and potentially moving closer to your fat loss goal. 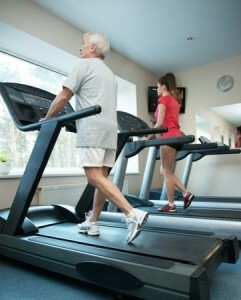 Who Should Perform Aerobic Exercise? In a word – everyone. And almost everyone does to some degree. If you walk throughout the day, you are doing aerobic exercise. This said, to really reap the most benefits, you do need to perform the exercise at a certain intensity level. Most people will see great results by working out at between 50-80% of their maximum heart rate (which is 220, minus your age). Anything lower than this and you still will see results, but they won’t be as noticeable and anything much higher and you may begin to cross over into anaerobic training. Ready to get started? Before you move ahead with your aerobic training, there are some things to know. First, go at your own pace. Start slowly and begin adding more time to each session on a daily basis. This will help ensure that you are not getting burnt out or risking overtraining. 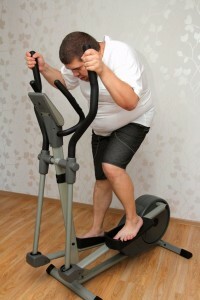 Second, find a mode of aerobic exercise you enjoy. Far too many people fall off the bandwagon because they simply get bored of this training, so figuring out what you enjoy will make all the difference. Finally, keep at it. Aim to perform at least three sessions per week to maintain optimal benefits and to ensure that you don’t start to de-train due to lack of frequency. There you have the in’s and out’s of aerobic training. Now it’s time for you to get moving!